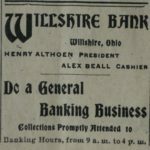 For the past several weeks I have been posting personal items, items of interest, and various advertisements from the 5 May 1904 edition of the Willshire Herald. 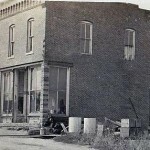 Those items give us a glimpse of the past—what Willshire was like just after the turn of the century. I am nearing the end of information I can gather from that newspaper but there are still a few items that I have not covered. 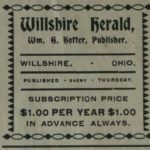 I am nearing the end of posting some of the many interesting items from the 5 May 1904 edition of the Willshire Herald, a newspaper that my great grandfather Louis J. Schumm saved. 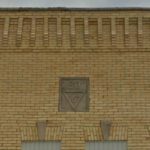 I have been posting items for several weeks now and have not yet covered all the information about the area people and the businesses in and around Willshire. 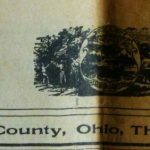 What was going on in Willshire, Ohio, in 1904? I am still going through the 5 May 1904 edition of the Willshire Herald that my great-grandfather Louis J. Schumm saved. I have so enjoyed going through this paper and I hope others also find it as interesting as I do. Today, more items from that 1904 newspaper.